Iran’s Army and the Islamic Revolution Guards Corps (IRGC) are holding a joint military exercise in the Persian Gulf. 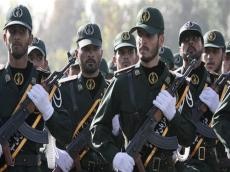 The war game involves various units of the Iranian Army and IRGC including the Rapid Reaction Unit, the Artillery Unit, and the Drone Unit, Tasnim news agency reported on September 22. More than 600 military vessels are involved in the drill, showing strengthen in waters of the Persian Gulf near the Strait of Hormuz. Before the beginning of two major parades in the cities of Tehran and Bandar Abbas, Iranian President Hassan Rouhani and Parliament Speaker Ali Larijani made speeches in the capital and the southern city, respectively. The drill involves the military and IRGC’s fighter jets, including F-4, Mirage and Sukhoi-22. Five logistics and combat helicopters are also taking part in the exercise over the Persian Gulf waters and the Sea of Oman. “In addition to a show of strength, this ceremony is a message of peace and friendship for friendly and neighboring countries,” Colonel Yousef Safipour, the deputy commander of the army for public relations said earlier.